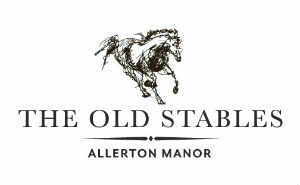 Set in a beautiful, tree-lined and tranquil location, The Old Stables at Allerton Manor Golf Club is a stunning restaurant & bar. Our delicious seasonal menus feature expertly crafted flavours inspired by much-loved British classics. Complete with a terrace area that’s perfect for al fresco dining, the restaurant offers the perfect setting whether you're seeking an indulgent breakfast, light lunch, afternoon tea or a delicious evening out. Although very busy the restaurant should've been able to cope with demand as this was not unexpected demand it was a planned event. They even had to turn custom away. As to value £8.50 is a lot of money for what is just a standard breakfast, well it would be standard if you got two rounds of toast, you only get one and have to pay extra for tea. The breakfast here used to be really good value but not since the change of menu. Also keep an eye on what you get, one of our plates was missing items from the menu which we then had to wait even further for. Our first visit to the old stables and we were all very impressed at the appearance of the restaurant and patio area, we dined on Easter Sunday as the sun was shinning we sat in the patio area before going to our table for lunch. We were a part of three and we all enjoyed our afternoon at the old stables, the staff were friendly approachable and very helpful. We chose from the Easter Sunday lunch menu which 3 course justified £28 plenty of choice and very good value for money and was delicious. So thank you all and look forward to a return visit soon. Stefan who served us was excellent , and his colleague Olivia ? Dirty glasses, slow service, overpriced food and drink. The restaurant is in a lovely setting just not really worth the money to have eat there. Probably better for a drink. Very consistent standard. Very always really accommodating. A real credit. Great setting for a great day. have enjoyed their visit as much as my wife and I have. Piping hot, beautifully cooked, best breakfast we’ve had at the Stables. A big big improvement ! We had a lovely afternoon tea last Monday. Our waitress Eve was helpful and friendly. Pleasant welcome. Swift service offering drinks order. Food arrived well presented, plentiful as high quality. Server checked we had all we needed @ we were satisfied. I like the fact small &large portions offered. My two guests had only been once before & were favourably impressed. I am a frequent visitor and always take my visitors to The Stables Restaurant & some ask to return. Very busy with lots of large parties but when we decided not to stay as we expected a long wait Stefan persuaded us and ensured we were attended to rapidly. The food was amazing. Will definitely come again. Lovely atmosphere , lovely restaurant. The Old Stables was recommended to me by a friend. I have now  also recommended it to other people. The menu and food was greatly appreciated and very satisfying. I am due to visit again with friends in 2 weeks . The waitress was also attentive, had a sense of humour and made us feel welcome and relaxed.